I turned 30 this May, to a welcoming committee of good friends at a terracotta-walled chillout bar – the same colour that adorns my old room at home and the same colour that will adorn my new room as I settle into the sleepy coastal town of Marsaskala with my girlfriend and Olivia, the fluffy ginger cat. Or, at least, it will remain sleepy for the odd few months or so, until yet another ludicrous development takes over the ever-diminishing unspoilt land on the island, this time right under my (new) doorstep. More on that later, for now here’s a few things that have kept me busy over the past month. Schlock Magazine’s May issue – The overall brief was ‘Spring’, and I think we’ve succeeded in creating an eclectic and visually sumptuous edition, if I may say so myself. Check it out and give us your feedback, if you’re so inclined. It would be appreciated either way, as we’re planning some pretty big changes in the near future any constructive crit will go a long way. Click here to check it out. 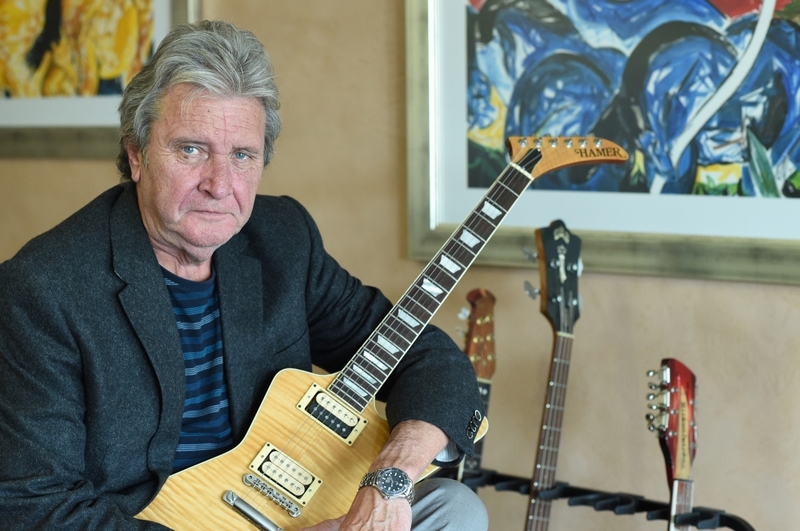 Some cool interviews – Got to chat to the great Jeremy Robert Johnson about his blistering bizarro-noir debut novel Skullcrack City (once again, for Schlock) and the day job got a bit more interesting when I scored the chance to speak to David Bowie’s former guitarist turned newspaper mogul Mark Pritchett. It made for a curious afternoon, though as ever, the more memorable insights were kept off the record. 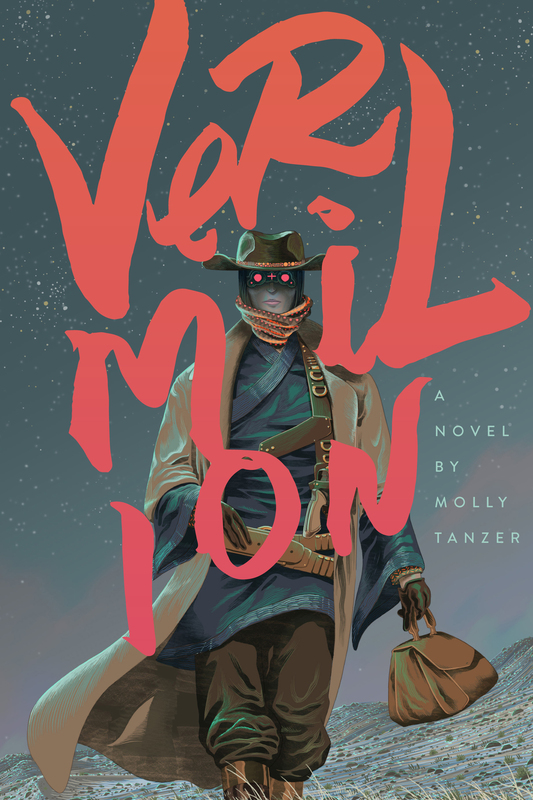 Fun reads – Apart from the aforementioned Skullcrack City, I thoroughly enjoyed Molly Tanzer’s Vermilion – a weird western with touches of Chinese mysticism and trans-continental vampire lore. We’ll be interviewing Tanzer for Schlock Talks too, and I’ll be reviewing the book for May’s edition of Schlock’s Pop Culture Destruction. Tanzer also featured in an anthology I’ve enjoyed and chatted to my Schlock interlocutor Marco about for Schlock’s podcast – Letters to Lovecraft, edited by Jesse Bullington. My dear friend Pyt also gifted me a sumptuous coffee table volume of Umberto Eco’s The Book of Legendary Lands, which now sits atop of The Steampunk User’s Manual (ed. Jeff VanderMeer & Desirina Boskovich) – another birthday gift, courtesy of my sister and her boyfriend. These are the books that are imagination fuel as I type or sketch away. Reads I’m looking forward to in the near future: Station Eleven by Emily St John Mandel, Cyclonopedia by Reza Negarestani, The Gift of Stones by Jim Crace and – perhaps above all – Stone: An Ecology of the Inhuman by Jeffrey Jerome Cohen. The massed effect of this reading schedule seems to point to a keener environmental awareness, and a desire to get at something obstinately ancient and ‘quiet’, as a counter-reaction to the ADD generation. And what better way to do that than through rocks? This entry was tagged american university, birthday, cyclonopedia, David Bowie, desirina boskovich, development, emily st john mandel, imaginary lands, interviews, Jeff VanderMeer, Jeffrey Jerome Cohen, jeremy robert johnson, jesse bullington, Jim Crace, letters to lovecraft, mark pritchett, may, molly tanzer, reza negarestani, Schlock Magazine, skullcrack city, spring, station eleven, steampunk user manual, stone, the gift of stones, umberto eco, vermilion, zonqor point. Bookmark the permalink.